Evidence-based research confirms that college students are most successful when they start out their college careers by making a purposeful choice in a focus area or program, enter with a productive academic mindset, and follow clearly sequenced program maps that include nine credits in the student’s academic focus area and 30 credits in their first year. Put together, these three elements create a momentum year for students—a starting point that helps students find their path, get on that path, and build velocity in the direction of their goals. 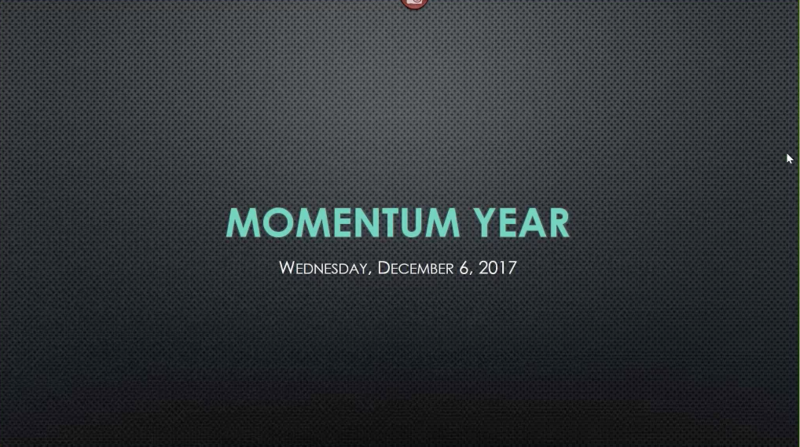 The Momentum Year kicks off at the Momentum Summit in Atlanta on February 15 and 16, an event designed to provide instituitons with the resources and opportunity to plan for full implementation of the Momentum Year approach on their campus by Fall 2019.